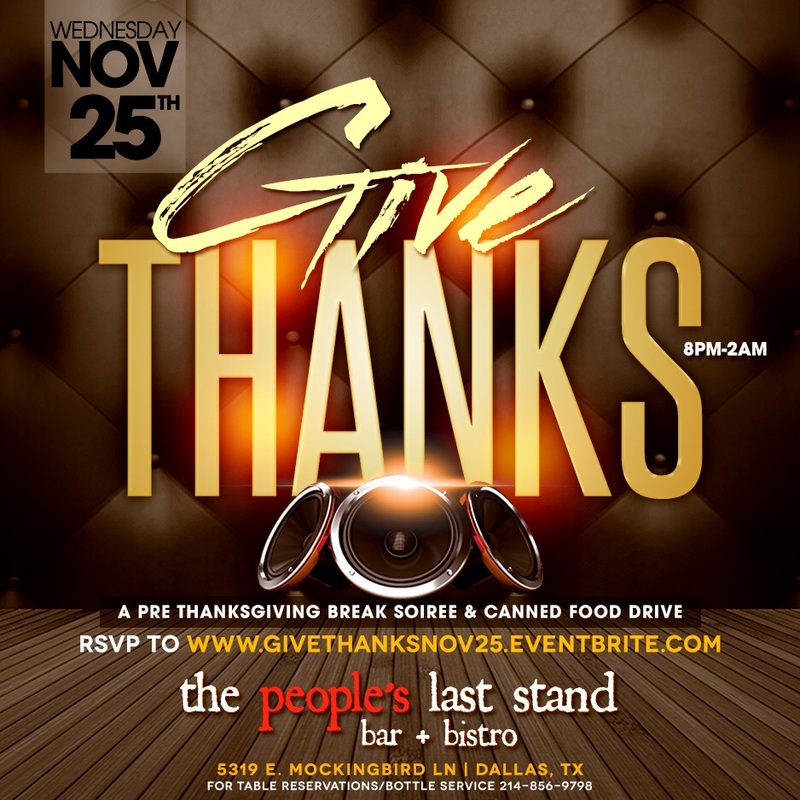 The People’s Last Stand in Mockingbird Station (75 and Mockingbird) is running a canned food drive in addition to mixing the ones and twos starting at 8pm and going all night. The Candle Room has a Pilgrims and Indians. Check the flyer on our event page for RSVP info. 5039 Willis Avenue | Dallas, TX 75206. 2Chainz is at Park Avenue for the 1st Annual Thanksgiving Hustlaz Holiday. The House of Blues has a Cowboys vs. Panthers “Blue Sky” After Party soiree on Thanksgiving night. Check the flyer on our event page for table and bottle info. Men of Business is hosting the Effen Thxgiving event at Rio Room. Duffey and DJ Duffle A Bag in the mix. The Candle Room is back with another event, the Black Friday Super Sale event. Check the flyer on our event page for bottle specials. (Note: the flyer says Nov. 28, but it’s a Black Friday event, so may be good to double check with them).